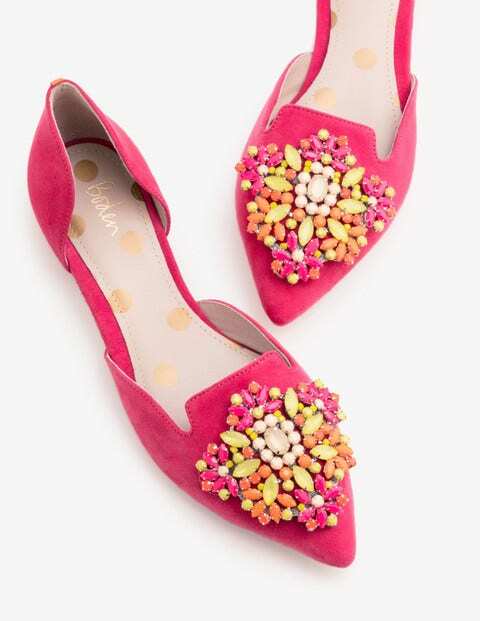 These bold embellished flats are proof you don't need heels to make a statement. Choose from different finishes, all featuring a treasure trove of jewels, contrasting grosgrain trims and perfectly pointed toes. Crafted from wonderfully soft suede or canvas, slip them on with a little black dress to let them shine.